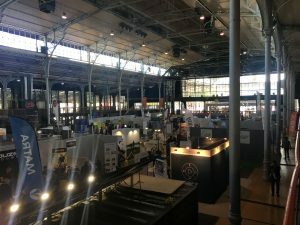 From October 19 to 21, 2017, more than 220 exhibitors and 15,000 visitors met in the north-east of Paris to discuss new products and services related to urban mobility. On the 19th and 20th October, LogiMobi was on site. On October 21, Autonomy was open to the public. Own cars are no longer needed in modern cities and are increasingly no longer a status symbol for young people. The internal combustion engine will be replaced by the electric motor in the medium term. Autonomous vehicles will make new, easy and seamless mobility possible. The interplay of these five factors will make future mobility faster, cleaner and safer, Ross Douglas told LogiMobi. Large automotive, oil and energy companies have also recognized the signs of the times and are investing heavily in new forms of mobility and electric drives. Autonomy believes in a future with a variety of solutions from different actors contributing to urban mobility. Several different providers of stationary or free-floating bikesharing systems presented themselves. Among them is the Chinese supplier ofo, who would like to start in Paris soon or oBike from Singapore. 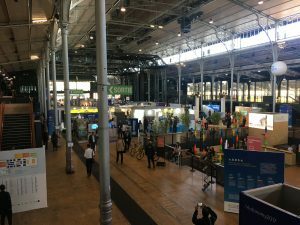 In addition to the bikesharing providers as part of the active mobility, numerous companies and start-ups with electric skateboards and two- or unicycle scooters were presented. Active mobility accessories were also presented as a design bike helmet or bicycle bags with flashing arrows to indicate the direction in case of bad weather. Regarding Electric Vehicles, the fair featured several scooter models that differ in size and shape. In addition, Renault was on site with a Zoe and a Twizy on site. Furthermore, the topic of data analytics played a key role in intelligent and efficient networking. The company ito World, for example, presented its solutions for the intelligent analysis of traffic data as well as its visualization. Another example is OpenDataSoft, which builds open data portals for cities and municipalities, so that other actors can use this data as well. Also several app providers showed their current solutions for the end customer. For example, mappy. The French start-up runs an app that proposes different routes with different providers (intermodal and multimodal). This simplifies access to different means of transport for the customer. The company free2Move also bundles all car sharing providers in one app and was present at the fair. The company optimile takes further step and develops a Mobility as a Service, in short MaaS, App for Gent and Flanders. Mobility-as-a-Service was also the subject of the accompanying congress program at the „Urban Mobility Summit“. On the first day of the conference, Isadora Verderesi, Chairwoman of MaaS Global discussed it with Jacob Bangsgaard, President MaaS Alliance and Nathalie Rodriguez, Project Manager at Hamburger Hochbahn AG, Johan Herrlin, CEO, Ito World and Delphine Asseraf, Digital Brand and Communications Director, Allianz France. Mobility as a Service is a platform or app in which customers can search and book all mobility services for their travel routes. In addition, an intermodal transport system can be used. The advantage for the customer lies in the convenience, only one application to use all mobility services is needed and thereby there is an easy overview of all options. Jacob Bangsgaard noted that the market is currently very fragmented and that in Paris, for example, a large number of apps are needed to use all services. Natalie Rodriguez added that public transport at MaaS remains the backbone and integrator of urban mobility. In addition, thoughts are needed how people without a smartphone could use MaaS. The biggest challenge in the implementation of MaaS is to bring together the different actors. These have different interests and goals. Trust and contracts are necessary, especially regarding data transfer. Instead of a large clearing house, there should be a continuous exchange of relevant information. Thus, all actors retain their authority over their data. Especially with the large-scale use of autonomous shuttles and cars in urban areas, MaaS would be very relevant and leads to the broad abolition of one’s own car. The previous disadvantages of the last mile, for example a necessary change, can be minimized by autonomous fleet. In another presentation, Gunnar Froh explained why his Startup Wunder Carpool has just selected South and East Asia for his ridesharing service. Not only, the cities are growing much faster and a good rail-bound public transport network is not available in most cities. But also, there is a large middle layer, which wants a simpler and more comfortable form of mobility. Wunder calculates for 2020 with 100 million free seats every day in the 30 largest cities in the region. The goal is to increase the occupancy density per car and to transfer the average three free places to other persons. This could create lasting driving communities. By providing free seats in private vehicles, the costs are significantly lower than with UberPool. Wunder carpool is mainly funded by targeted advertising in the app. Thus, the transaction costs for the mobility platform can be kept low. Currently active in India and the Philippines, cities in South America (for example, Rio de Janeiro), Africa (for example Nairobi) and others in Asia (including Tehran, Bangkok, Jakarta) shall be added by 2018. During the second day, Bibop G Gresta of Hyperloop Transportation Technologies (don’t mix it up confused with Virgin Hyperloop One!) explained the principle of this new means of transport and the objectives of this organization. Hyperloop is a tube-based means of transportation. Virtually vacuum is maintained in this tube, which allows individual capsules to be accelerated and moved at high speed and by magnetic force through the tube. The capsules can transport both persons and goods. Hyperloop Transportation Technologies (HTT) is not a company, but a collaborative organization of 800 people from 38 countries working together on the project. Hyperloop announced that the first test track will be built in Toulouse. For this, a contract with the city has already been signed. Construction begins next year. 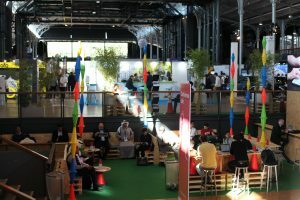 The trade fair and the congress confirmed Autonomy’s vision. A variety of options for collectively organized urban mobility will lead to multimodal, fast, from which both will benefit people and cities. 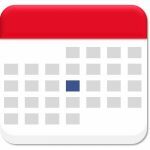 Autonomy will be held from 18 to 20 October next year.